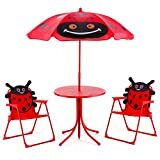 Cutest Table and 2 Chairs Set for Kids - The whole set is Ladybug- Themed which will be definitely attractive to your baby! 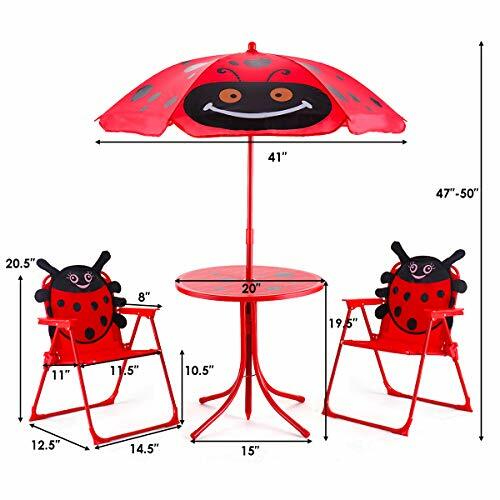 Assemble It With Ease - Costzon kids table and chair set with umbrella is just the right size for toddlers. The portable design requires no tools - just fold and go. 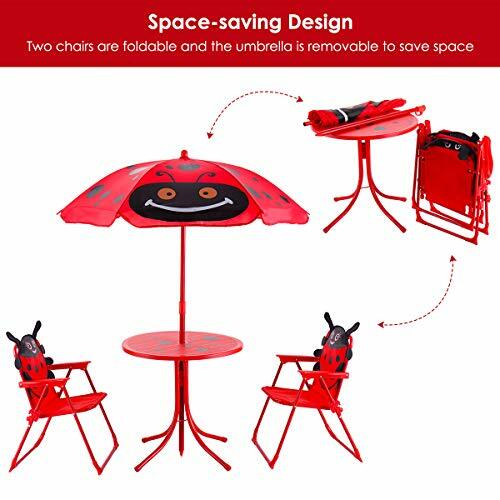 Two chairs are foldable which is space-saving. 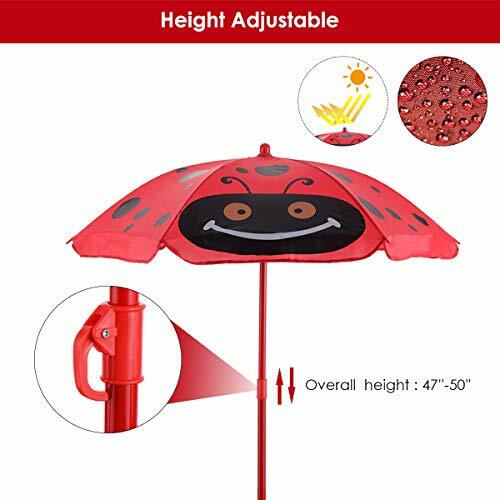 Set the 40" umbrella for the sudden rain or harmful rays or fold the umbrella to enjoy sunshine. 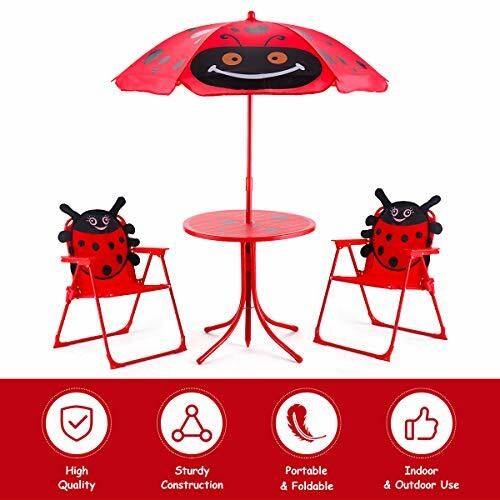 Solid Construction - Constructed by coated stainless steel frame, while the table top is UV resistant plastic, the whole set is extraordinarily stable and durable for a long period time to accompany your kids. Each chair weight capacity : 66lbs. 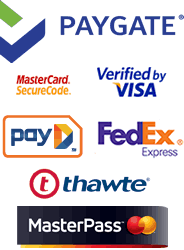 Non-Slip Feet- All the table and chairs are equipped with non-skid feet not only to keep itself stable for security but also to protect floor surface. Wide Application - Set it no matter indoors or outdoors. This toddler table and chair set has an exciting line of color coordinated to complement any outdoor environment. Lightweight design for easy movement. Your children can move their own furniture to any ideal place without much efforts, which cultivates their manipulative ability. 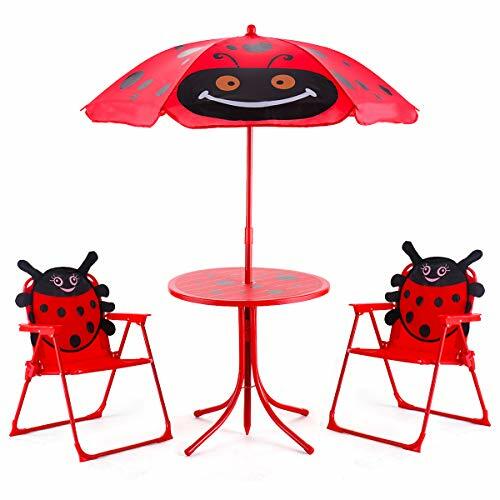 This set of children's furniture includes one table, two foldable chairs and an umbrella. 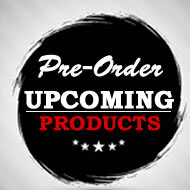 Metal tubular construction provides stability use. 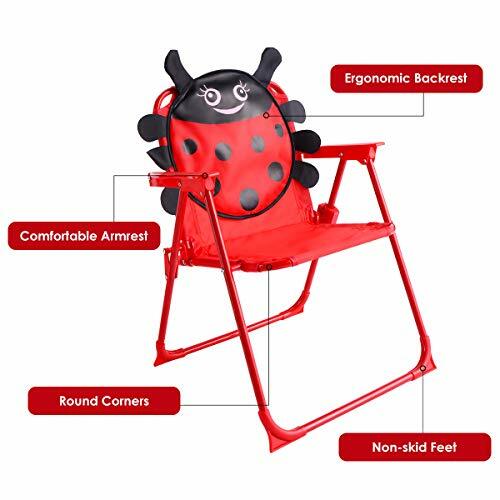 Constructed with tubular metal and oxford cloth, two foldable chairs with beetle pattern are funny and weight-light. 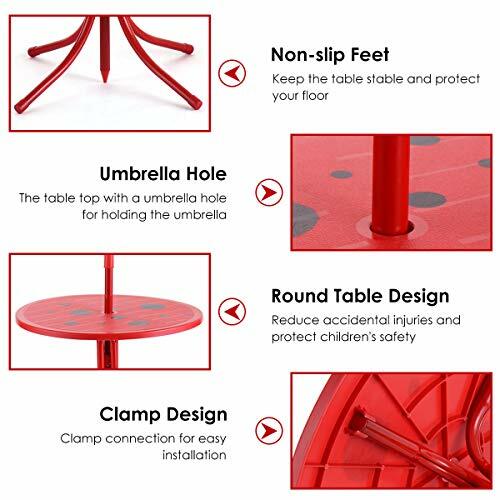 Round plastic table is edgeless for guaranteeing children's safety. 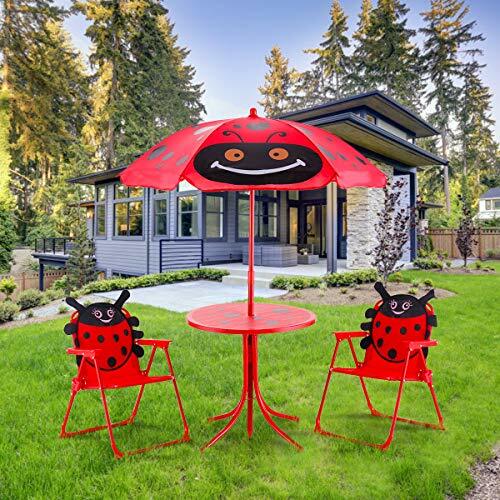 The beautiful umbrella printed beetle pattern provides UV protection. Let your kids enjoy their meals or snacks outdoors with this kids picnic table. 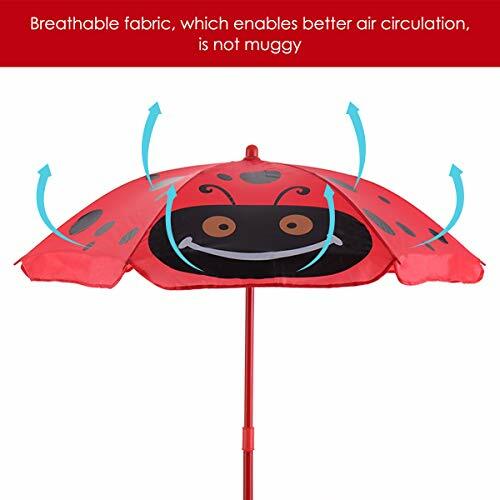 Moreover, it can be easily folded up for storage. 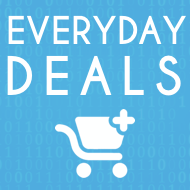 Add it to your cart now!